Senior Palestinian official Saeb Erekat on Saturday accused the Trump administration of trying depose the Palestinian leadership in a “coup” and told the “impudent” US envoy to the United Nations Nikki Haley she should “shut up” with her criticism of Palestinian Authority President Mahmoud Abbas. 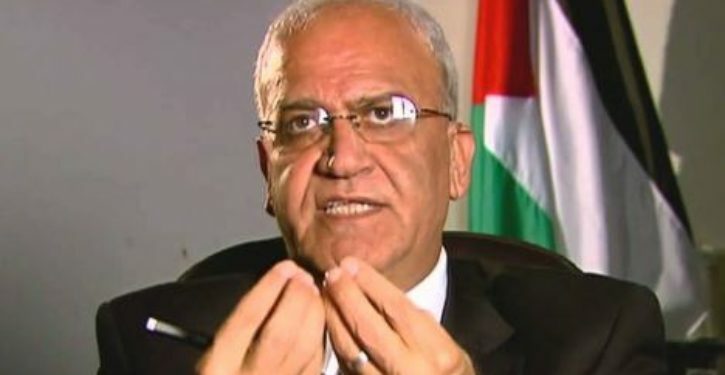 Erekat said that Haley’s “impudence” has gone as far as calling for removing Abbas from power. “She called for overthrowing the democratically elected Palestinian president,” Erekat complained in an interview with the Palestinian Al-Watan Voice news website.